Posted on September 13, 2017 at 4:04 pm. Save Third & Fourth Avenues in the East Village! GVSHP will be presenting its proposal for rezoning the 3rd and 4thAvenue corridors to prevent oversized commercial development in this area, such as the 300 room, 13-story hotel under construction at 112-120 East 11th Street, at this upcoming Community Board 3 Land Use Committee meeting. 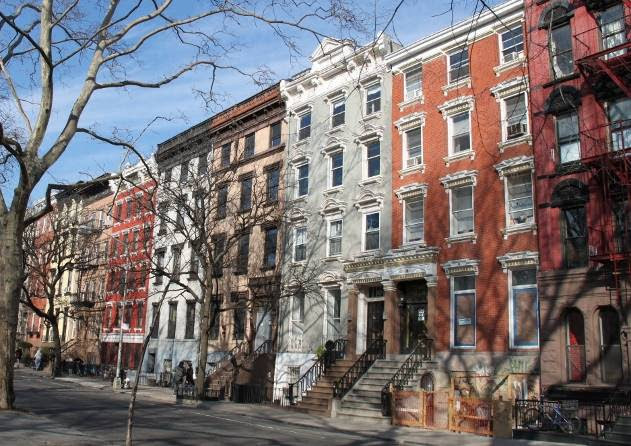 GVSHP is proposing and seeking zoning protections for the area between 5th and 3rd Avenues, Union Square and Astor Place,which is unique within the Village and East Village for its lack of adequate zoning and landmark protections. Community Board 3 ONLYcovers the area east of 4th Avenue, so Wednesday’s meeting is solely focused on 3rd and 4th Avenues. If you oppose overdevelopment in this area, it is vital that you attend. This is not a public hearing, but residents of Community Board 3 may speak in support of zoning protections for Third and Fourth Avenues. Thank you, and see you there! Posted on May 18, 2015 at 12:42 pm. The Department of City Planning announced that it will present to 51 community boards before further action is taken on the Zoning for Quality and Affordability plan introduced in February. The change is a response community opposition from neighborhoods throughout the five boroughs expressed during the comment period for the Draft Environmental Impact Statement. In the East Village, the R8B designations south of Tompkins Square Park will increase by 5 feet. The rest of the neighborhood under R7A zoning remains planned to absorb more generous height lifts including a 5-foot increase with the option to build up to 105 feet for affordable senior or Inclusionary Housing. The contextual zone in the East Village was enacted in 2008 following a three-year community process. The height restrictions help protect existing buildings and the neighborhood scale. Read the letter from City Planning Chairman Carl Weisbrod in full. Posted on February 24, 2015 at 3:39 pm. In the latest installment of the ongoing struggle against NYU’s huge expansion plan, the State’s highest court, the New York State Court of Appeals, has agreed to hear a case that was filed by petitioners in mid-November regarding public parkland. The lawsuit has passed through two lower courts, with differing results. Those following the dispute, especially park advocates, are awaiting a verdict that could have massive ramifications on the way that the City and the State deal with public parks in the future. On October 14th, the Appellate Division’s First Department overturned a lower court’s decision that would have spared three parks—Mercer Playground, LaGuardia Park and LaGuardia Corner Gardens—from destruction under NYU’s current expansion plan. According to the lower court’s ruling, all three strips are public parks, and therefore entitled to protection, since the public has been using them as parks for many years, making them “implied” parkland, with the City funding, labeling and maintaining them as parks. NYU and the City counter-argued that those parks aren’t really parks, since they were never “mapped” as parks (a bureaucratic technicality), and are nominally overseen by the City’s Department of Transportation. The First Department’s decision would allow NYU to raze those treasured parks to make way for its vast expansion plan, and set a precedent that could potentially threaten countless public parks throughout the City and the State. Petitioners, NYU Faculty Against the Sexton Plan, Greenwich Village Society for Historic Preservation, Historic Districts Council, Washington Square Village Tenants’ Association, East Village Community Coalition, Friends of Petrosino Square, LaGuardia Corner Gardens, Inc., Lower Manhattan Neighbors’ Organization, SoHo Alliance, Bowery Alliance of Neighbors, NoHo Neighborhood Association, Assembly Member Deborah Glick and 10 other individuals, are represented on a pro bono basis by the law firm Gibson Dunn & Crutcher, with Randy Mastro as lead attorney. The petitioners are asking the Court of Appeals to consider two issues: that the First Department’s decision actually conflicts with prior appellate court decisions, and prior decisions by the Court of Appeals itself, about this kind of “implied” parkland, and that the First Department’s decision, if left intact, will have the effect of abolishing implied dedication—a consequence with widespread negative effects, not just in New York City, but throughout the State. Parks and open spaces are protected by the Public Trust Doctrine, which maintains that the government holds the titles to certain waters and lands in trust for the people. In New York State, if an entity wishes to develop or remove a parcel of parkland from public ownership and use, it must follow a legal process called “alienation,” which, among other conditions, requires approval from the state Legislature. This was not done in the case of the Village parks that NYU wants to destroy for its ill-advised expansion plan. The First Department’s decision flies in the face of this doctrine and of its own decisions, and would imperil all kinds of public and green spaces throughout the state; it would leave ordinary New Yorkers with no protection against the removal and abuse of open spaces and parks for development. Posted on September 25, 2014 at 8:21 pm. The Department of Buildings has issued a Stop Work Order and moved to revoke a partial permit for the dorm conversion planned for former PS64/ CHARAS – El Bohio. In response to Councilmember Rosie Mendez’s letter dated September 3rd, the DOB raised objections to the approved conversion plan, which had earned agency support based on misinformation. The plan violates the zoning code and the “dorm rule”, a hard-fought protection on the speculative development of student housing. The collective efforts of community groups, community members and the community board with a unified group of elected officials led by CM Mendez kept the energy and pressure needed to reverse the City’s decision. We continue to demand the return of this landmark building to true community use. 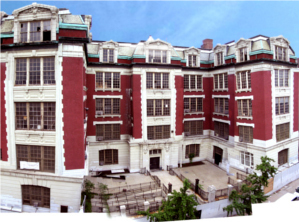 The EVCC remains dedicated to ensuring that the historic PS64 building and the intent for future use at the time of its sale are honored. Join us, other community groups, residents, and CM Mendez with other elected officials at a rally/ press conference on Sunday, 1pm at 605 East 9th Street (Avenues B & C)! Posted on July 1, 2014 at 3:53 pm. The Municipal Art Society released a new tool for identifying parcels with air space that can be developed under existing zoning. Much of the East Village is already near or at its height limit as a result of the 2008 contextual rezoning advanced by the EVCC and the East Village/ Lower East Side community. Some lots (in darker shades) remain vulnerable to potential future development. Neighbors take notice of underbuilt neighbors that may one day attract development interest. Posted on November 6, 2013 at 6:23 pm. EVCC invites you to voice your opinion about the current state of chain stores within the East Village. Join EVCC November 19th from 6pm-8pm at the Neighborhood Preservation Center, for a community workshop on Formula Retail. The workshop is open to all but space is limited. 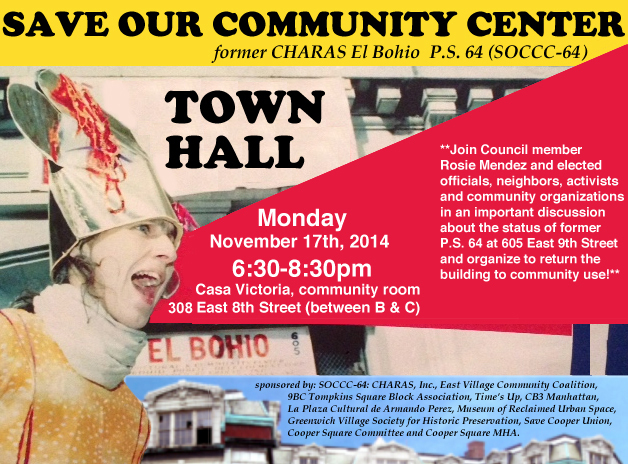 Please contact melanie@evccnyc.org or call 212-979-2344 if planning to attend. We have several open volunteer positions at the workshop, all allow participation in the discussion. If you’d like to volunteer please mention it in your RSVP.